How do I install SiteRanker? SiteRanker is usually distributed together with other products. 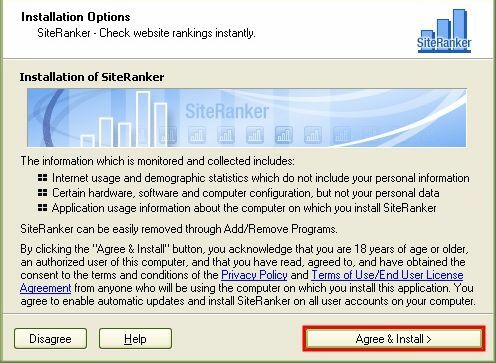 You may opt to install SiteRanker by clicking on the "Agree & Install" button on one of the installation screens, or opt out by clicking on the "Disagree" button.